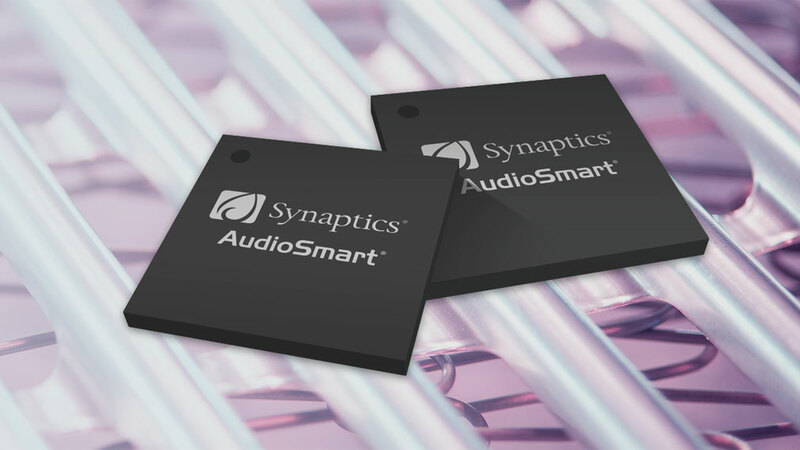 Designed to give headphone and headset manufacturers a competitive edge in the digital audio category, Synaptics is leading the industry transition away from analog audio with its powerful USB Type-C codecs. Our codecs enable headphones to benefit from having power and a digital audio signal available to them, as well as the ability to transmit data directly over the cable. Unlocking the potential for significant innovation in the booming headphone market, Synaptics' AudioSmart® USB-C codecs enable brands to deliver their signature sound quality uniformly across all devices, while also delivering powerful advanced features including voice control, active noise cancellation, noise suppression, wind noise cancellation, and smart voice pickup. Multiple environmental detectors and a low latency noise cancellation engine enable a self-tuning, intelligent ANC solution for virtually any environment and headset position. Whether in an office, coffee shop, or on-the-go, Synaptics’ Smart Voice Pickup captures voice and cancels incoming noise from all directions (360°), enabling crystal-clear communication regardless of the environment. Synaptics’ advanced codecs are capable of producing high-resolution, high-fidelity 24-bit and 32-bit digital audio that preserve the recording's original quality.